GOP Health Plan Would Define Insurance Narrowly : Shots - Health News The Congressional Budget Office says millions of people would lose coverage under the proposed House bill. But the CBO's definition of insurance is more generous than what Republicans want. According to the Congressional Budget Office, repealing and replacing the Affordable Care Act would lead to 24 million people losing insurance. But that could depend on how you define "insurance." "It basically says that we'll be right back at pre-Obamacare status with about 40 million people uninsured in this country, " Price said outside the White House on Monday. "We believe that the plan that we're putting in place is going to insure more individuals than currently are insured, so we think that CBO simply has it wrong." Why the disagreement? In part, it's obviously politics. Republicans can't let a projection that so many people will lose insurance under their proposal, called the American Health Care Act, go unchallenged. But it also lies in how you define "health insurance." Republicans have said repeatedly that they want insurance companies to be able to offer cheap, stripped-down policies that don't cover as many services as those under the Affordable Care Act, also known as Obamacare. That way, consumers will have the choice to spend less on premiums if they don't want comprehensive coverage. But the Congressional Budget Office is evaluating their plan by the Affordable Care Act rules. "Republicans feel like they're being held to the rules for football, but the game is actually soccer. They're trying to redefine the game," says Rodney Whitlock, a vice president at ML Strategies who was Republican policy director at the Senate Finance Committee when the Affordable Care Act first passed. The CBO, however, has to evaluate the plan based on current law. In a December memo, it laid out how it would determine whether a policy would be deemed actual health insurance. "CBO broadly defines private health insurance coverage as a comprehensive major medical policy that, at a minimum, covers high-cost medical events and various services, including those provided by physicians and hospitals," the memo says. "When specific requirements are established in law, CBO relies on those definitions to further determine what policies count as private insurance coverage." The Affordable Care Act lays out 10 categories of "essential health benefits" that must be included in all insurance policies — including mental health care, and maternity and newborn care. The Republican proposal doesn't repeal that essential benefits package, which can drive up the cost of insurance. So the CBO concludes that the tax credits under the Republican proposal aren't sufficient to persuade many people to buy high-priced insurance. "For many lower-income people, the new tax credits under the legislation would tend to be smaller than the premium tax credits under current law," the agency said in its analysis released Monday. It concludes "fewer lower-income people would obtain coverage through the non-group market under the legislation than under current law." So Price may have a point when he says the estimate that 24 million people will lose their insurance is too high. But Whitlock says there's risk in assuming that Republicans can complete the next steps in their strategy to reshape the health care system. "Maybe what they really need to do is step back and say you can't have this conversation unless you're ready to put it all out there," he said. Republicans will have a hard time stripping out the benefits that are included in the current health care law, according to Nicholas Bagley, a professor of law at the University of Michigan. Democrats certainly won't vote to water them down, he says, and Republicans don't have a big enough majority in the Senate to overcome a Democratic filibuster. And at HHS, Price may not be able to change much in the regulations, Bagley says in a post on the "Incidental Economist" blog. 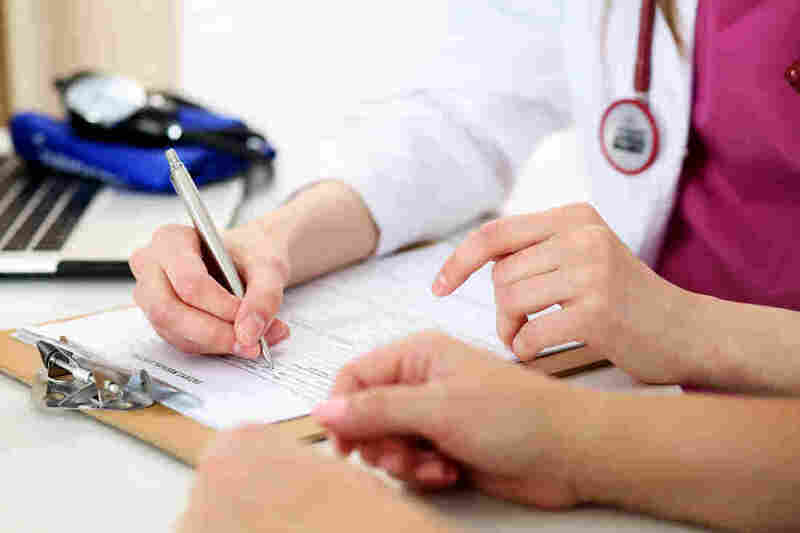 "Price is hemmed in by the text of the ACA, which says that 'the scope of the essential health benefits' must be 'equal to the scope of benefits provided under a typical employer plan,' " he says. An Institute of Medicine study found that employer plans generally are quite generous. "If most employer plans cover the same stuff, you can't squeeze much juice out of a redefinition of the essential health benefits," Bagley says.